Start Date: April 28, 2019, 2:30 p.m.
End Date: April 28, 2019, 6:30 p.m. 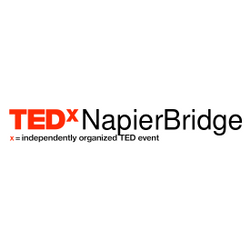 Through TEDxNapierBridgeLive, we are bringing TED 2019 to Namma Chennai. 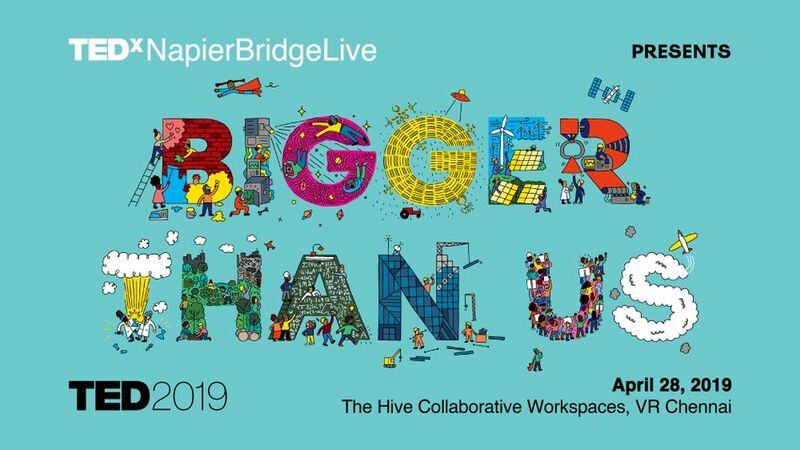 Watch one full-length session of the legendary conference themed Bigger Than Us on April 28th in The Hive Collaborative Workspace, VR Chennai. For TED in 2019, we’re joining that search for deeper meaning. We’ll be exploring technologies that evoke wonder and tantalise with superhuman powers, mind-bending science that will drive the future as significantly as any politician, the design of cities and other powerful human systems that shape our lives, awe-inspiring, mind-expanding creativity, and most of all, the inspiring possibilities that happen when we ask what ideas are truly worth fighting for, worth living for. Parking charges apply as per VR Chennai&apos;s rates, and will not be free. Please bring your own water bottles. They can be refilled at the venue. The event does not feature any live speakers. By purchasing the ticket, you are agreeing to our code of conduct. Registration desk opens at 2:30 PM. Doors close at 3:00 PM, and latecomers will not be allowed to enter.